For more than 45 years, Vidéographe has embodied the deep commitment of bold and visionary artists. Throughout this time, you, our many members, friends and partners, have shared our vision and values and supported us as we evolved. 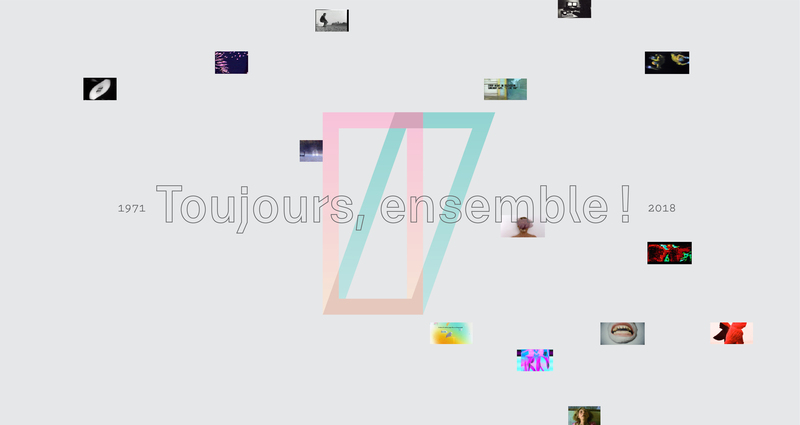 Vidéographe’s story is also your own and we thank you warmly for your contribution to the dynamism of our community. Vidéographe is a thriving centre dedicated to video whose cornerstones are: research, sharing, exposure and community. Thanks to our unceasing efforts in dissemination and conservation, the talent of the 800 artists that we distribute is showcased throughout the country and around the world. The residency and training programs that we offer encourage experimentation and facilitate the sharing of expertise by offering increased opportunities for artists to meet. Vidéographe is convinced that opportunities for exchange and reflection are key in fostering the creative process, which is nourished over time and through experience. Since its founding, the Centre has constantly adapted to technological innovation and the emergence of new artistic and sociological approaches in order to stay relevant. In this spirit, we have set up outreach and digital exploration activities for adolescents and young adults. These projects, developed in partnership with organizations Dans la rue, La Maison d’Haïti and the youth centre Le Beau Voyage, allow us to share our values and expand our vibrant community. These activities have met with much success. In order to continue to develop them and to carry out our mission with passion, we need your help. You can support us by making a donation or by renewing your membership. We accept checks, debit/credit card, paypal, cash, or online paiement with Canadon. Together, always! We invite you to support us so that the next 45 years can be as inspiring and visionary as the last 45 years have been. We turn to you, our partners, because we believe that you are best placed to assure our independence in supporting artists with authenticity and temerity. Your support is a testament of your renewed commitment both to us and to our shared values. May our community continue to flourish for a long time and together, always! Vidéographe is a registered charity recognized by the Canada Revenue Agency (105531255RR0001). All donations will be published in our communications and on our website, unless you wish to remain anonymous. A tax receipt will be issued for all donations of $20 and over. Confirmation of renewed membership will be sent via email. No tax receipt will be issued for membership fees.